In order to keep China in the war against the Japanese, the Western Allies believed they had to return to Northern Burma. 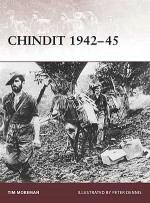 Colonel Orde Wingate, a military maverick and proponent of guerrilla warfare, knew that a different type of British infantryman was required for this role - the Chindit, indoctrinated with special training - to re-enter the jungles and mountains of Northern Burma in order to combat the victorious Japanese forces there. 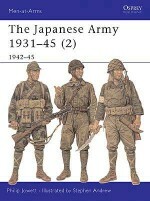 The Chindits' opponents would include the 18th Division, one of Imperial Japan's most seasoned formations, which by 1941 had already accumulated as much operational experience as most Anglo-American divisions would acquire in the entire 1939-45 war. 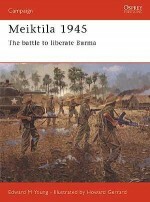 In a host of encounters the two sides clashed repeatedly in the harsh conditions of the Burmese jungle; the intended role and subsequent operational performance of the Chindits remains fraught with controversy today. 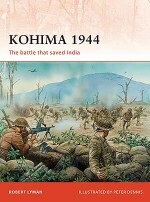 Featuring full-colour artwork, specially drawn maps and archive photographs, this gripping study offers key insights into the tactics, leadership, combat performance and subsequent reputations of six representative Chindit and Japanese infantry units involved in three pivotal actions that hastened Japan's defeat in Burma during World War II. Jon Diamond is a practising physician who has had a life-long interest in military history. He has served as a civilian attendee to the United States Army War College National Security Seminar in Carlisle, Pennsylvania and has written a significant number of articles and papers including over fifteen for Military Heritage Presents WW II History. Peter Dennis was born in 1950. Inspired by contemporary magazines such as Look and Learn he studied illustration at Liverpool Art College. Peter has since contributed to hundreds of books, predominantly on historical subjects, including many Osprey titles.